Sarita is a passionate advocate of tantra, healthy lifestyles and loving relationships. She speaks at conferences, evening satsangs and other events throughout the world – inspiring people on their journeys of personal development, sensual opening and spiritual awakening. Her speaking engagements are vibrant and fun, as she always includes an experiential aspect for audience participation in her presentations. Audience members find their lives being transformed and uplifted through her presence. 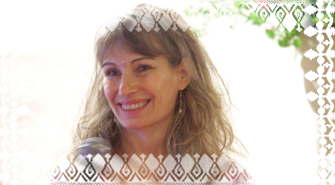 Sarita loves to respond to questions from her audience and her ability to tap into Akashic wisdom is phenomenal. She also offers online conferences and radio shows on a regular basis. In 2011, Sarita spoke at Alternatives in London, The Tree of Life in Birmingham, and ISTA Europe Conference of Sexuality and Consciousness in Prague.